﻿ Miami County Barn Quilts - Ohio. Find It Here. 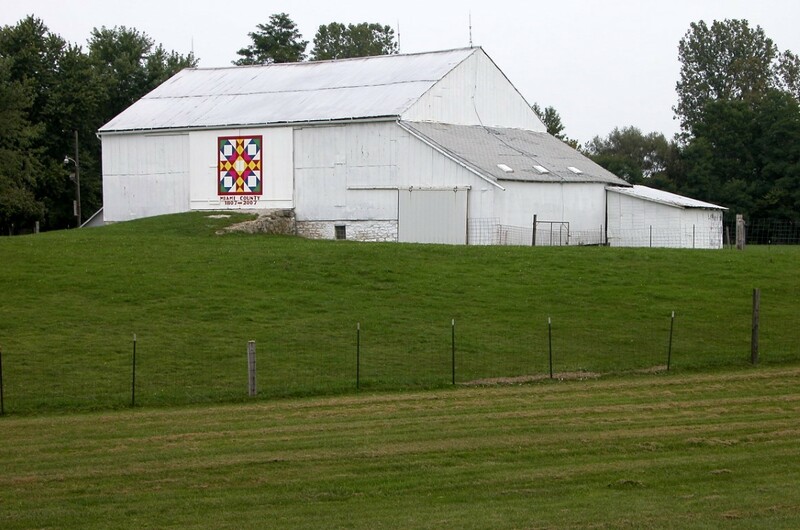 Decorating the scenic landscape are true folk art renditions of traditional quilt squares, hand painted on barns throughout Miami County. This colorful array of barn quilts connects the picturesque countryside with our lovely historic downtown communities, while promoting and celebrating the unique rural and agricultural experience in our area. Visitors will enjoy the beauty and simple elegance of the land as they make their way from town to town. Come and experience the simple life. Visit www.homegrowngreat.com for more information and barn locations or call 1-800-348-8993 to be mailed a barn quilt brochure.